One of my favorite activities is making art while looking at art. 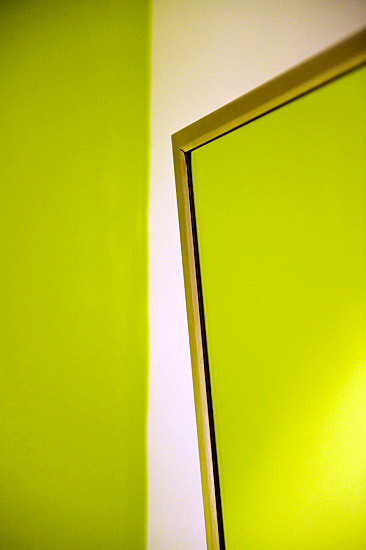 I composed this image in the rest room at the Photographic Resource Center (PRC) in Boston, Massachusetts. 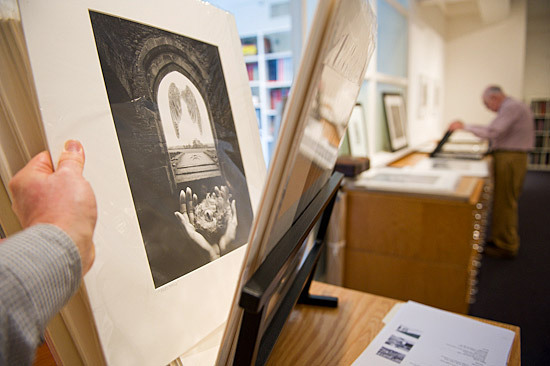 I was inspired by the 14th Annual PRC Juried Exhibition on display and was delighted to note that Russell Hart, executive editor of American Photo, was the guest juror. Mr. Hart recently came to where I teach and critiqued student portfolios. Next up: Panopticon Gallery of Photography, cleverly nestled in corridors that link the Commonwealth Hotel with restaurants and shops. In response to an email inquiry, gallery owner Tony Decaneas, whose lab printed my black and white work corporate work in the 1990s, explained to me: "While I don't provide the best forum for formal or academic installations, the space is the first genuinely successful retail gallery space I've had." He attributes the success to "unsuspecting visitors to the hotel and restaurants who discover our space by accident." At the Robert Klein Gallery, I ran into Stephen Jareckie, a photography curator at the Fitchburg Art Museum. I had photographed him several years ago on assignment. Mr. Klein assisted Mr. Jareckie with finding images for an upcoming show. Surrounded by Winogrand and Stieglitz, I was in photo heaven, even holding in my hands work by Atget, Brett Weston and Jerry Uelsmann. How about a hybrid? 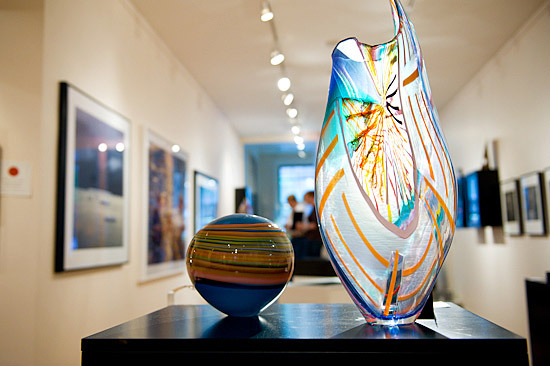 On Charles Street, in Boston's gas-lamp-lit brick-sidewalked Beacon Hill neighborhood, is Tesorino, a space that offers glass art, distinctive jewelery and photography. 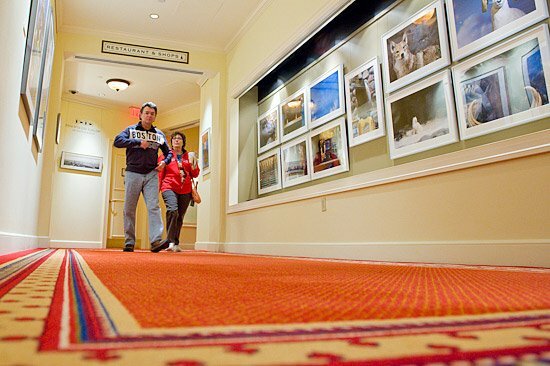 The photography comes from the Iris Gallery in Great Barrington, Massachusetts. 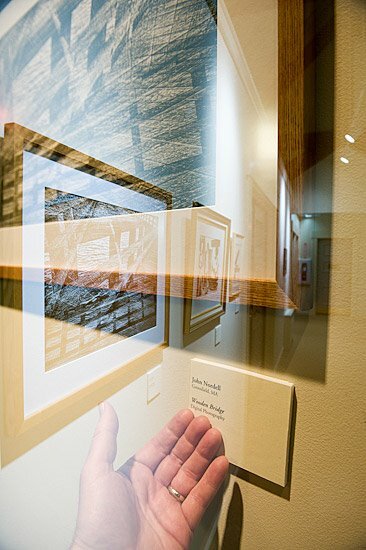 On display was work by photographer Doug Landreth. His studio manager once helped me greatly with information about corporate fine art print sales. Last stop: 35 miles south of Boston, I attended the opening of a group show called Black & White, at the Duxbury Art Association. This is a double exposure of my triple exposed image, Wooden Bridge, that was included in the exhibition. Driving home, reflecting on my enriching and exhausting day, I profoundly noted the connections that linked me with each gallery.